Venezuela has said that more Russian military personnel may arrive to support the Latin American country, where the U.S. has sought to oust the socialist-led government. Commenting on the presence of up to 100 Russian military personnel who arrived in Caracas last month amid threats of U.S. intervention, Venezuelan Deputy Foreign Minister Ivan Gil told Russia's Interfax news agency Thursday that "the group of military specialists is within our agreements and contracts on military-technical cooperation." He said they would remain there "as long as necessary." Gil then revealed that more troops could be on the way, but "all within the framework of those agreements," which reportedly included the maintanance of S-300 surface-to-air systems sold by Moscow to Caracas under the late Venezuelan President Hugo Chávez. Chávez's successor, President Nicolás Maduro, has faced overt pressure from President Donald Trump's administration to step down since parliament speaker Juan Guaidó declared himself interim leader in January as the country faced a historic economic crisis exacerbated by mounting U.S. sanctions. 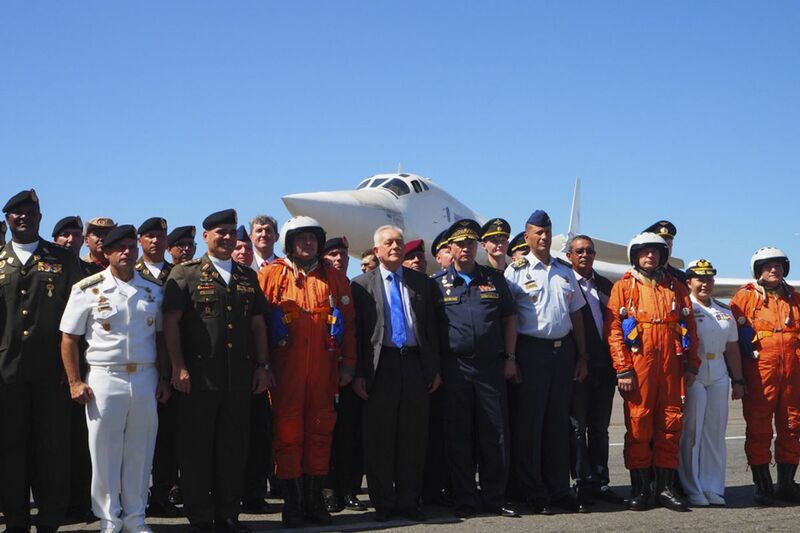 Russia's support for Maduro angered U.S. officials, who responded to Moscow's recent deployment—which followed joint Russian-Venezuelan drills in the Caribbean in December—with outrage. President Donald Trump warned last week that "all options are open" in ensuring an exit for the Russians and his envoy to Venezuela, Elliott Abrams, who was reportedly part of a 2002 coup attempt against Chávez. Trump cautioned that the country would "pay a price" for its actions in support of Maduro. Moscow defended its deployment as part of its "military-technical cooperation" with Caracas and Russia's state-run Rostec conglomerate, announcing Tuesday that it had opened a new center to train Venezuelan pilots to fly Russian-built military helicopters. In remarks published the following day by Moscow-based newspaper Moskovskij Komsomolets, Russian Foreign Minister Sergey Lavrov challenged White House National Security Adviser John Bolton's warning to "actors external to the Western Hemisphere against deploying military assets to Venezuela" by pointing out that "the whole world" is covered with U.S. bases. In that same interview, Lavrov said he had so far ruled out a scenario similar to that of Syria, where Russia sent troops to counter a U.S.-backed insurgency and various jihadi groups attempted to depose Syrian President Bashar al-Assad. 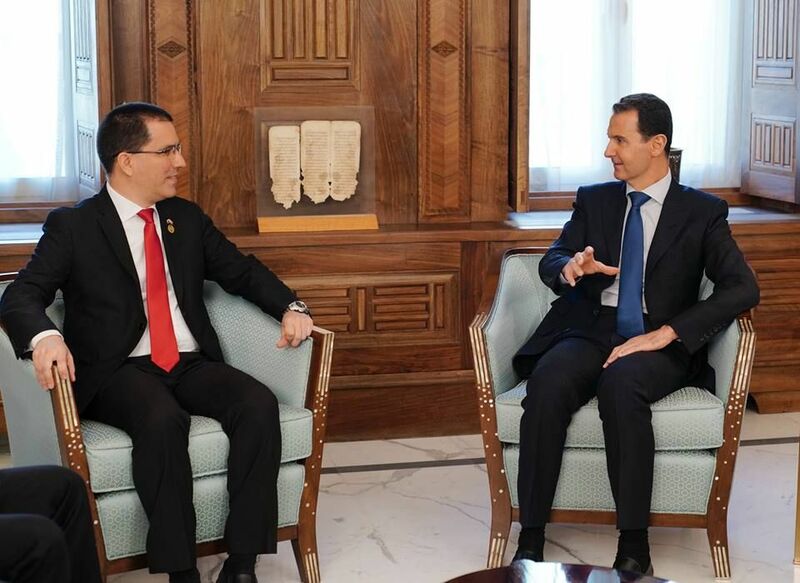 The Syrian leader himself, however, drew comparisons between the crises in his country and Venezuela during a meeting Thursday with Venezuelan Foreign Minister Jorge Arreaza in Damascus. "What's happening in Venezuela is similar to what happened in Syria, and its aim is achieving hegemony over nations and the seizure of their independent decisionmaking, which undermines international law and is contrary to the most important principles of the United Nations Charter to respect the sovereignty of states and the right of their peoples to self-determination," Assad said, according to his office. Assad, who stood accused by the West of war crimes, has once again emerged as the top player amid an eight-year civil war thanks to backing from Russia and Iran. 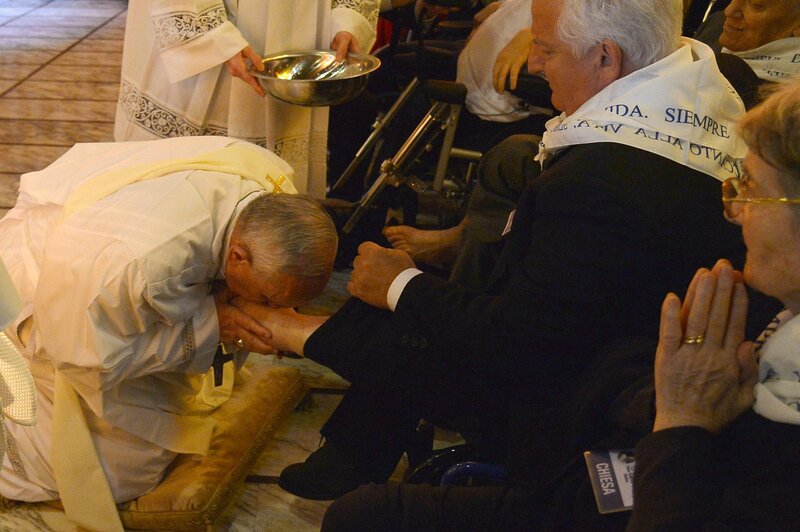 He offered his support for Venezuela during talks with Arreaza, who tweeted that he would "transmit the loving embrace of solidarity" to Maduro. While the situations in Venezuela and Syria have polarized the international community, even some U.S. allies turned on Trump's decision last month to recognize the occupied Golan Heights as part of Israel, a departure from the policies of previous administrations and the position of the United Nations. Syrian Foreign Minister Walid al-Muallem further condemned the controversial move, as well as the ongoing presence of U.S. troops in his country, during his own meeting Wednesday with Venezuela's top diplomat. Arreaza, for his part, argued that "the U.S. wants to attack Venezuela and seize its wealth, oil and other resources," but "the experience of Syria gives us lessons and ideas to win this war," according to his office. "When President Assad described the early days of the war against Syria, we could identify similarities with what we are living through in Venezuela, the same enemy with the same interests, but it is also the same people resisting imperialism," he added.